Cooler Master starts shipping the Hyper 212X, an updated version of the Hyper 212 series. 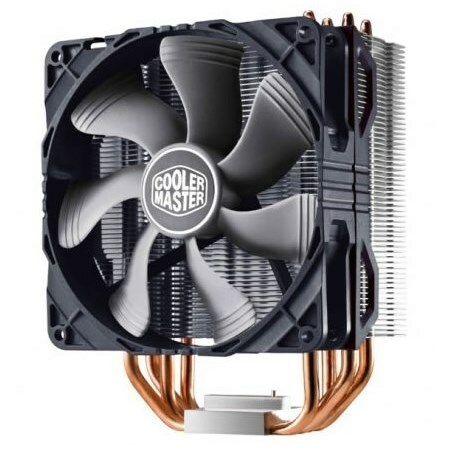 Cooler Master, an industry leading chassis, thermal solution, peripheral, and accessory manufacturer today showcases a powerful, yet highly affordable CPU cooler, the Hyper 212X. With the Hyper 212X, high air cooling performance is available to builders with all budget levels. Building upon the wildly popular Hyper 212 and Hyper 212 EVO, Hyper 212X improves a classic design. It includes the proven effective, patented Quad Continuous Direct Contact (CDC) heatpipe layout. Then, it steps forward by further improving the aluminum fin array with a new Tunnel Effect layout that not only improves the exchange of heat, but reduces overall noise. The fan has also been upgraded to include a long life and high durability POM bearing fan that has a mean time between failures (MTBF) of 160,000 hours. This redesigned fan includes specially developed blades that create vortices to boost airflow and keep noise levels down. This includes a Smart Fan engine feature that helps reduce damage or injury by stopping the fan when blocked and resuming operation when the block has been cleared. Hyper 212X is compatible with all current socket types, including Intel LGA 2011 and FM1. Hyper 212X will be available 8th January, 2013. Price and availability may vary based on region.